Fuel prices more than doubled at midnight on Sunday following a shock announcement by President Emmerson Mnangagwa. A litre of petrol is now $3,31, up from $1,38 while diesel is now selling for $3,11 per litre up from $1,32 previously set by the regulator, Mnangagwa told reporters at State House on Saturday. Foreign embassies and tourists will buy fuel at designated service station for US$1,24 per litre of diesel and US$1,32 per litre for petrol "upon production of proper identification documents." Zimbabwe is in the grips of an unprecedented fuel crisis, with long queues now the order of the day across the country as motorists wait for several hours daily, sometimes days, to get the scarce commodity. 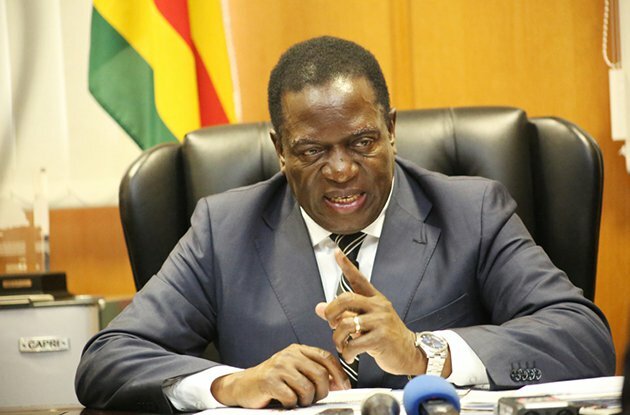 The shock price hike was a response to a "persistent shortfall in the fuel market attributable to the increased fuel usage in the economy and compounded by rampant illegal currency and fuel trading activities", Mnangagwa said. Some businesses would receive some kind of tax rebates to mitigate the sharp increase in fuel prices. "Cognisant of the need to prevent generalised price increases for goods and services in the country, with the attendant hardships which that will entail especially to the commuting workforce, the government has decided to grant a rebate to all registered business entities in manufacturing, mining, commerce, agriculture and transport sectors," he said. "Details on the exact form the rebate system will take will be announced in due course… and given these cost mitigations and incentives, the government does not expect, and will not allow, businesses to trigger a new round of price increases." The new price of fuel places the commodity beyond the reach of many Zimbabweans, including public sector workers whose salaries remain unchanged despite a dramatic loss in value against the United States dollar by the bond note surrogate currency in which they receive their salaries. "The consequences of this move are the following: this massive increase, of course market related, will be highly inflationary. It also means he – despite everything he says – is now abandoning the fiction that the bond note is equal to the U.S. dollar, so of course the exchange rate will further widen on the black market and thus dollarisation, negating government policy," said Dumisani Muleya, editor of The Zimbabwe Independent business weekly. "You can also expect that fuel will now mostly be available, but then it will be sold in U.S. dollars. Workers in Zimbabwe are not paid in dollars, so where do they get the money from? Naturally the black market, but then government has criminalised the parallel market. What does this show in governance terms? Policy confusion and chaos. It's not working; not sustainable." Mnangagwa, who made the fuel price increase announcement in the company of Vice President Constantino Chiwenga, Finance Minister Mthuli Ncube and Acting Energy Minister Perrence Shiri, maintained that "these new prices are predicated on the ruling official exchange rate of 1:1 between the bond note and the United States dollar, and also on the need to keep fuel retailers viable." By failing to immediately outline the nature of the rebate being offered to cushion businesses, Muleya said Mnangagwa was leaving businesses with little choice but to raise prices – even in the face of open threats from the Zanu-PF leader. These, he said, could begin with transport operators for whom the fuel price increase is being felt immediately.